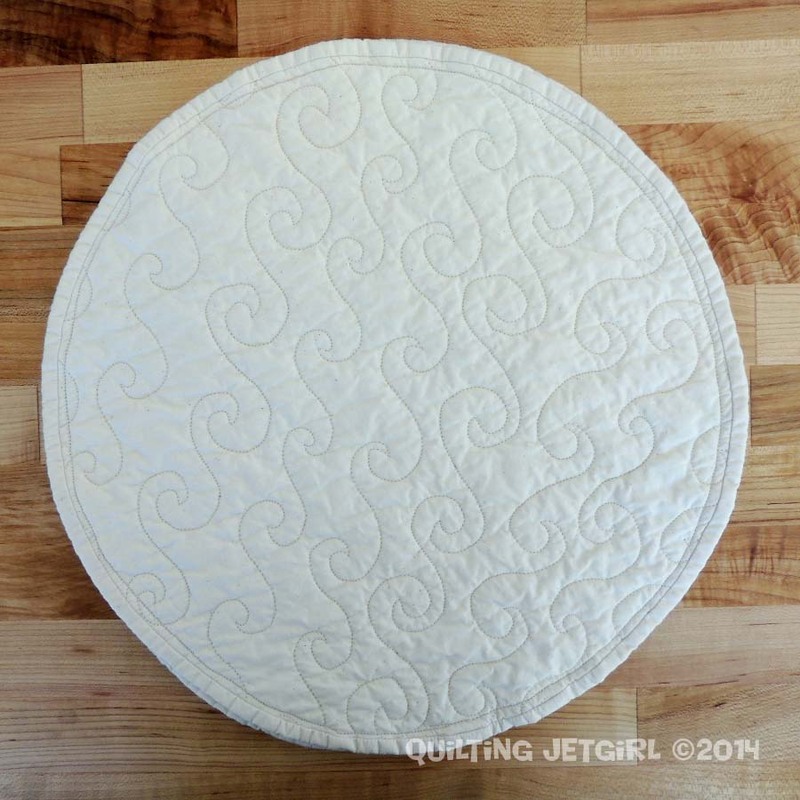 Piecing the placemats was a breeze, and I quilted them with an all over loose swirl that looks like waves in the ocean. The binding for these placemats was a tighter weave than I used previously, so it puckered the placemats a bit more in the first wash, but a quick ironing has straightened everything out and after a few uses, these are going to be soft and perfect straight out of the wash. 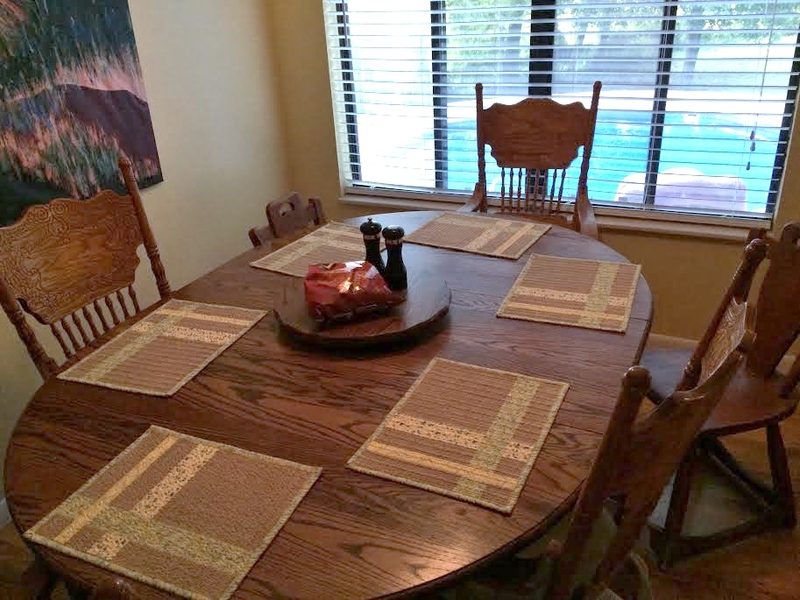 I gifted the woven placemats that I made 2 weeks ago to my brother and sister-in-law after I quickly made 2 more to bring the set up to a total of 6 placemats. They sent me photograph of them on their kitchen table. The pool in their backyard looks pretty wonderful to me, too! Ooooh both placemats are very pretty! 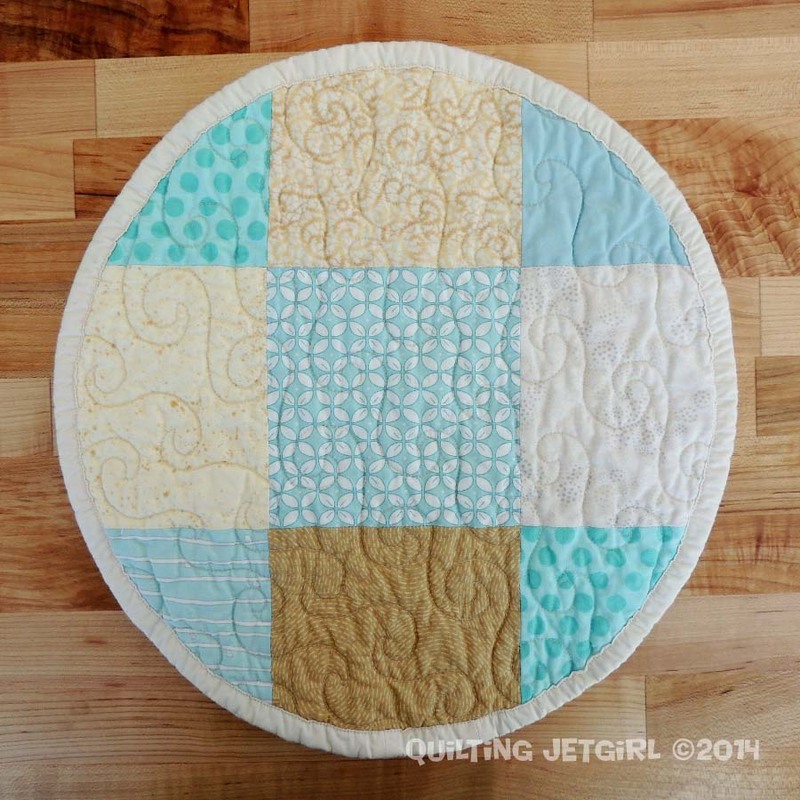 I love the idea of quilted placemats, but the kids are SO messy still, I’d have to wash them every day…so I’ll wait a few more years on that. I love the wave quilting on the beach placemats. And have I told you that I love those woven placemats? How great of them to send you a photo of the placemats in their new home!! That’s the best! All your placemat making fervor is making me think I need to put aside my current projects and whip up some placemats for our table! Those are truly beach color. I wish I had beach near by 🙂 Your quilting is great! Great quilting! And I’m liking the placemat projects. So satisfying to have a bunch of quicker finishes! Great placemats! 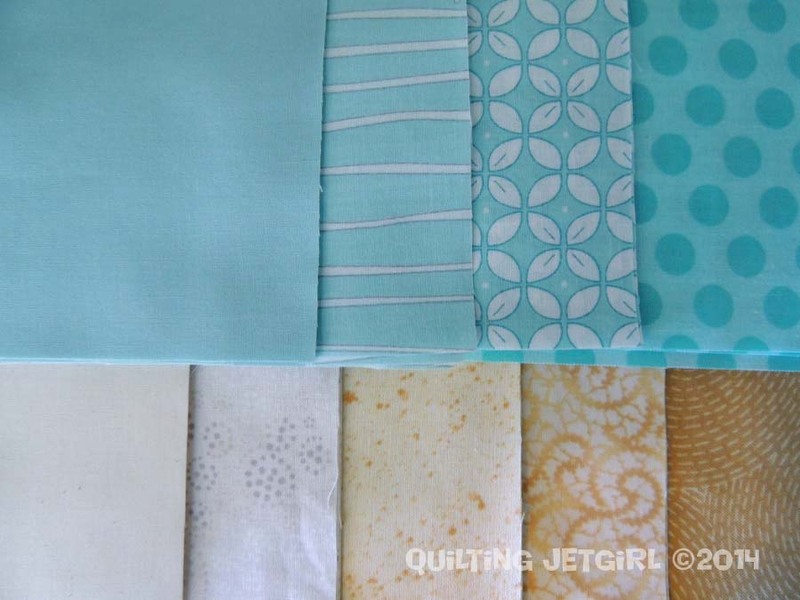 I think the quilting is fantastic, and fits perfectly with the theme. It’s gotta be nice to have a bunch of quicker finishes, too!